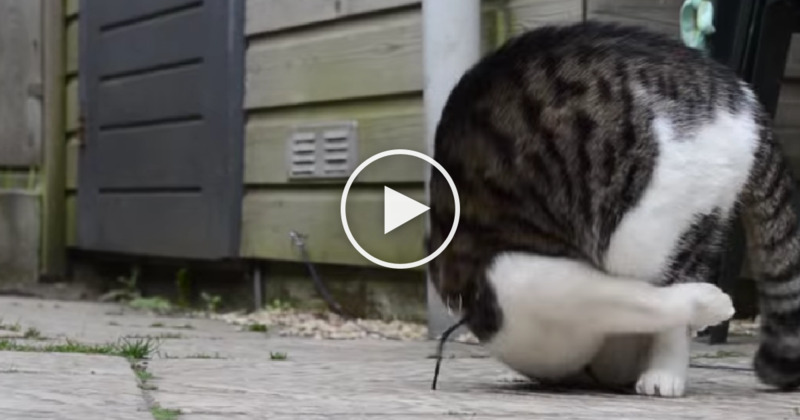 When This Cat Learns The Somersault Trick, No One Can Stop Him! Home » Animals » When This Cat Learns The Somersault Trick, No One Can Stop Him! It can be a new way of doing things or a new trick. Though most adults can find a way of hiding their happiness, kids will do what they can to let those around them know how happy they are for having learnt something new. In the clip below, we are meeting a kitty who has just made a new discovery. He has discovered to do somersaults, and he is doing it again and again without any sign of stopping. When his humans discovered his love for somersaults, they decided to record him while in action and shared with us the clips. It’s something you will surely love to watch. Though there are people who have expressed their fears that the cat might be having some balance problems, we hope the cat in a perfect health condition. The clip below clearly shows us why cats are just awesome and why we need to have them as pets since they always find a way to make us smile.